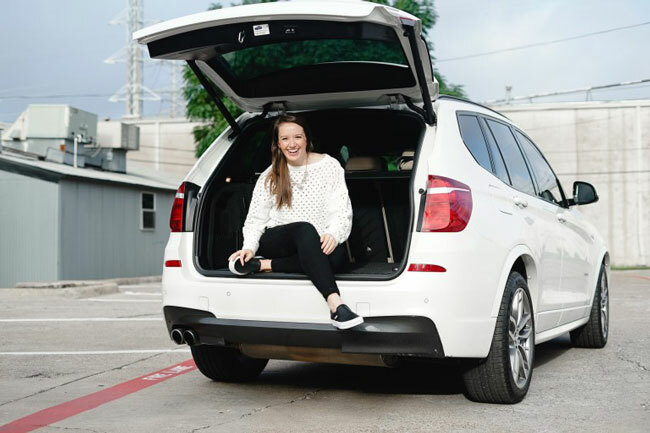 Today, we’re featuring a guest post by Dallas-based travel and fit mom blogger, Ashley Hetrick of @ashley.hetrick. Does anyone feel like they’re living their life on the road right now? Whether it’s flights and hotels for work, road trips to see family, or constant jogs around town running holiday errands, I feel like I’m never at home. And all that “on the go” living could really take a toll on good eating habits. A few years ago, I was overly ambitious and used to make all of our on-hand snacks. 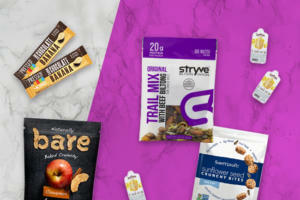 These days, we keep our pantry stocked with good, healthy snacks and meal alternatives that I can throw in my bag or the car before I head out – because #momlife means homemade protein puppy chow just ain’t happening! PURE PROTEIN BARS These protein bars have one of the best fat/carb/protein ratios out there (for something that doesn’t taste like chalk). Close your eyes and pretend it’s a Snicker’s bar. Not quite there, but close. And at less than $1 a bar, budget-friendly too. PREMIER PROTEIN SHAKES These shelf-stable shakes have 30g of protein EACH and again, don’t taste like chalk (do you see a trend across these protein-based options?). You can get a case at Sam’s Club for a little over $1 per bottle or order these off Amazon for $6 for 4. These are also pretty easy to find when you’re on the road (many grocery stores carry them near the SlimFast products). GOLDFISH SNACK PACKS Sometimes you just need carbs – so these are always in our pantry. There’s something about how many “bites” you get from a single pack that makes me feel more full. And they’re just delicious! 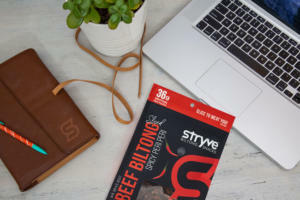 STRYVE TRAIL MIX This new offering from a local Dallas company mixes everything that’s great about snacks – nuts, biltong (like beef jerky), and chocolate into a sweet, savory combo that’s worth the extra indulgence. I have to hide these from my husband, C, or they disappear before I can enjoy them. The fat is a little higher than other options on this list, but it’s all healthy fats. CHEDDAR CHEESE STICKS I’m trying to reduce my dairy intake, but really struggle when it comes to cheese. We usually opt for the reduced fat cheddar sticks (Trader Joe’s makes a great one). Bonus: They double as snacks for my daughter, Evie. TRUE LEMON LEMONADE So, this isn’t a “snack” per se, but it does keep me from snacking. 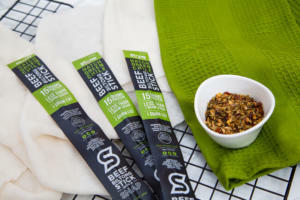 They’re made of 100% natural ingredients and no artificial sugars. So delicious! SINGLE SERVE COLLAGEN PACKETS Mix these with a packet of lemonade and you’ve got a tasty soda-alternative that’s also full of skin-renewing protein. Seriously – could there be a more perfect combination?